Summer is full of fun but it is also full of heat. It can be hard to cool off on the days and nights when Mother Nature decides to crank up the temperature. 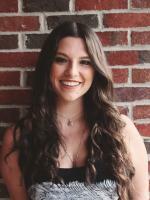 If you are looking for a way to cool down, head to Downtown Milly for some of the best places to grab a summertime cocktail. 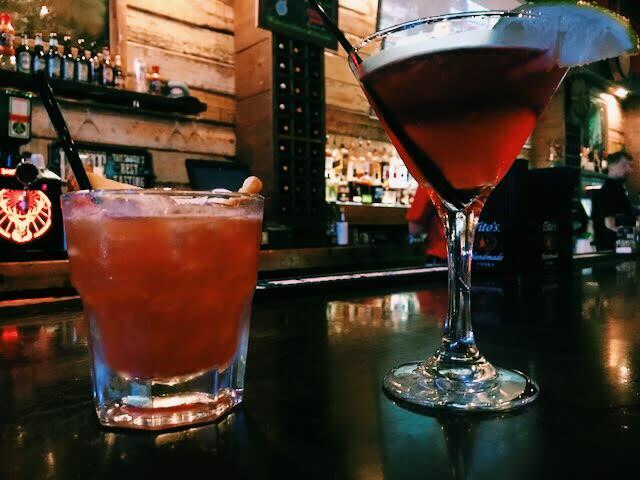 The bars and restaurants make for a fun date night or a relaxing happy hour with your friends! In honor of the summer season, we have rounded up a list of our favorite bars’ summertime drinks. The Brick just recently put out a list of new beverages to try that will get you into the summer spirit right away. The top two drinks here are the “Tony J” and the Popsicle Martini. The “Tony J” is a new take on the classic Moscow Mule, and in it you’ll taste vodka or Jameson with fresh lime juice, triple sec and ginger beer, infused with just the right amount of mint. The delicious twist? A splash of pomegranate juice! Nothing is better during a hot summer day than an ice cold popsicle and the Popsicle Martini is the grown up version of your favorite summer treat. It is made up of raspberry vodka watermelon schnapps and cranberry juice, shaken up until it is ice cold. 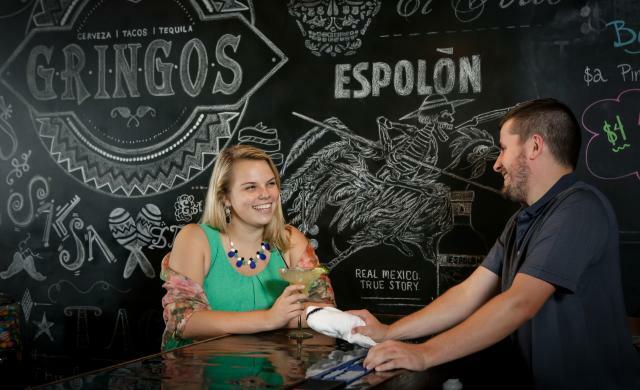 A cold margarita makes any day feel like a day on vacation and Gringos is known for having the best margaritas in Milledgeville. They offer a variety of flavors, such as peach-mango, blackberry, strawberry and pomegranate. They also offer their special “Coronarita,” which is a much bigger margarita with a Corona beer stuck upside down in the beverage. If you like Corona, you will love this infused margarita. Don’t miss out on Gringos’s margarita specials, during the summer on Fridays from 10 p.m. to 12 a.m. their delicious margs are only $2! 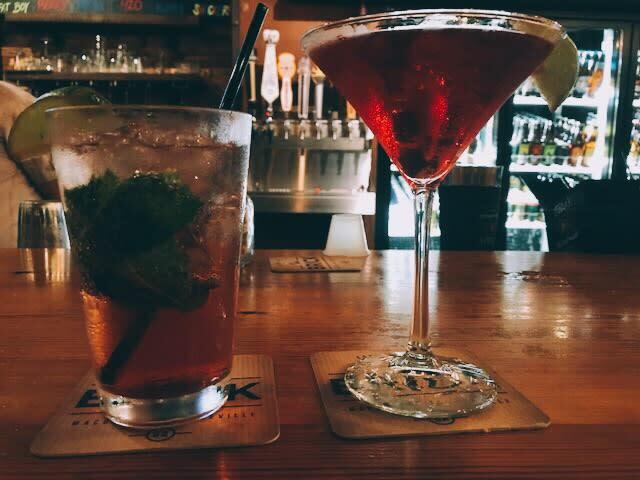 If cocktails aren’t really your thing, stop by Metropolis Cafe on North Wayne Street and grab a cold beer! 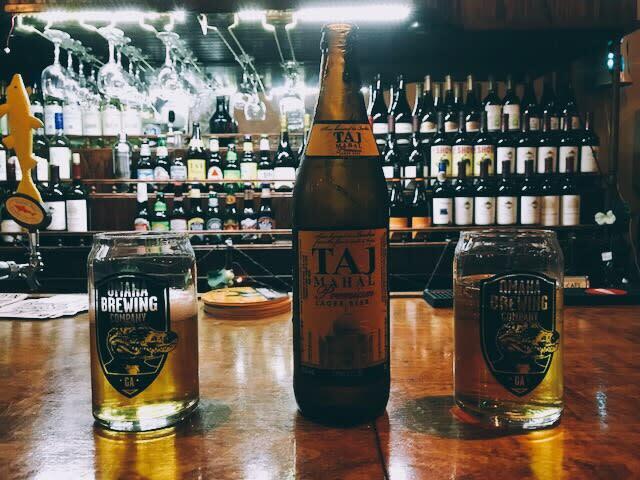 There are tons of different types on tap at the bar, but the beer that you won’t find anywhere else is the Taj Mahal lager. It comes from India and is perfectly crisp and light. It comes in a 22 oz. bottle so it is perfect to split with a friend! Amici specializes in infused cocktails and have an expansive list of summer drinks they are now offering. The top two on our list from here are the Blueberry Basil Martini and the Bananas Foster Old Fashioned. Amici uses their own top shelf, blueberry infused vodka that is made right there in the restaurant for the martini. The vodka is added to ginger ale and has muddled basil in it. It is the perfect summer beverage to cool you off! The Bananas Foster Old Fashioned is my personal favorite cocktail. Bananas and cinnamon are soaked in Jameson Whiskey to give it a delicious flavor. Muddled orange and cherry are added along with a dash of bitters and a dash of simple syrup and served over ice. We hope you can cool down with one of Milly’s unique cocktails this summer and make sure to cool down responsibly!